Our Reverie Bed Review (and Sleep System) for 2019 - With Ratings! Reverie aims to help people find healthier and happier lives through the power of sleep. Can firmness customization target your sleeping needs? The Reverie Dream Supreme™ II Mattress gives sleepers control of how they sleep by allowing them to adjust, not just their smart tech-enabled Reverie 9T™ Power Base, but a wide variety of components. Sleepers can choose from a hybrid memory foam and natural latex or an all natural comfort layer. Unique to this product, customers can adjust firmness at every 4 inches in the base layer. 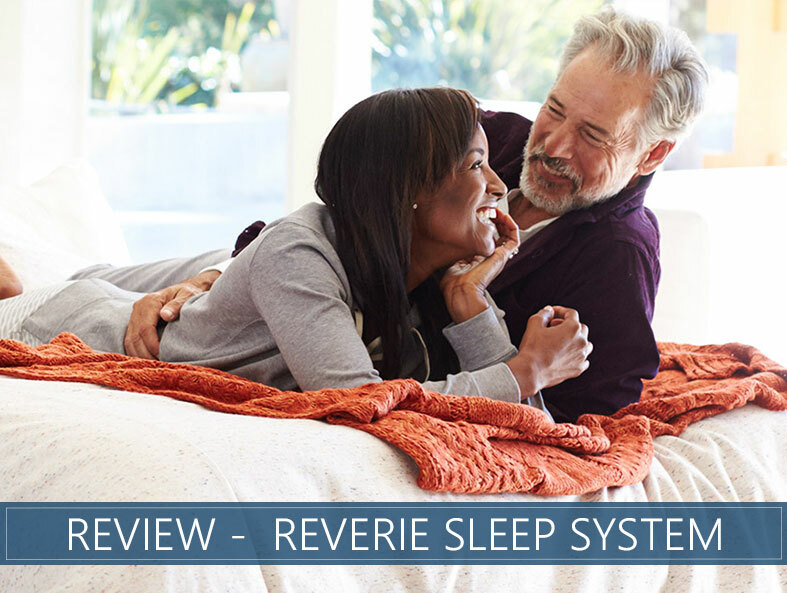 Our in-depth Reverie Sleep System review will look at the adjustable components in this bed, along with those things that all sleepers need in their sleep product: comfort, support, and long-term value. Keep reading to get all the details on this bed or skip ahead to our summary and scoring. Want customization– With over 200 foam springs ranging from Extra Soft to Firm, users can tailor their mattress to fit their specific needs. If that sounds overwhelming, customers can work with Reverie’s customer service to find their perfect fit. Need motion isolation – The springs in this product are made from foam and are separated by individual air pockets. These work to limit motion across the surface of the bed. Sleep hot – This product includes a number of features that allow it to sleep cool throughout the night. Notably, the breathable cover incorporates moisture wicking Feran Ice® technology. Want a mattress that’s ready to go – Some people may not want to go through the process of figuring out their specific comfort configuration with 200 plus coils. The good news is Reverie offers some preselected firmness options that can fit your comfort needs as soon as the mattress hits your bed frame. Ding-dong, your mattress has arrived with a two-man crew who can install your purchase. It arrives in its full an complete size and should work on a large variety of foundations. If you purchase the Reverie 9T™ Power Base, it comes equipped with smart technology to further facilitate your sleeping experience. The breathable mattress cover is finished with cashmere for a luxurious and natural feel. It has been quilted with proprietary Feran Ice®. This material covers 12 inches of foam materials and should help reduce heat buildup. When selecting your Reverie system you can choose between two options in the comfort layer. The first layer has 1 inch of graphite-infused natural Talalay latex. This was designed to help with cooling but still provides the comfort of memory foam beneath. The second layer is furnished with 2 inches of luxe memory foam that should contour to your curves and administer surface level pressure relief. The top layer on this model is a responsive 3-inch all natural Talalay latex. This material helps with surface bounce as well provides additional cooling for hot sleepers. Folks may find that this option is more firm than option 1. The base of this mattress is comprised of what the company calls the DreamCell® Mattress, a series of over 200 latex foam coils ranging from Extra Soft to Firm. This portion of the mattress is completely adjustable as sleepers can place and replace coils to fit their preferences. The edge of this product uses supportive RevTech™ foam to reinforce the edges. The Reverie 9T™ Power Base gives folks in-home automation that should significantly simplify their sleep. The power base can be operated from your phone and includes an impressive array of features. Under the bed is a LED light that you can switch on to go to the bathroom or get a drink of water without waking your partner. Sleepers can also set an alarm so that the head of their bed automatically raises to aid in waking up. Sleepers have the option to add a surround sound system to the legs of their beds providing an excellent experience for listening to music, gaming, or watching tv. Users also have to option to program the bed frame so it can adjust to their favorite sleeping positions on the fly. Last and certainly not least, customers can enjoy Reverie’s 3D-Wave™ Massage. This three-dimensional technology should provide a soothing experience and help improve blood circulation. The 9T base is functional and adjustable through the Nightstand™ app which is currently available on Apple iOS. Android compatibility should be available in the near future. The company also supports a remote to adjust the bed. For more smart bed options, click here. Firmness is subjective, and when it comes to the Reverie Dream Supreme™ II the word subjective is enhanced to a whole new level. We rate the firmness of mattresses on a scale from 1 to 10, with a 1 being like a cloud and a 10 being as firm as a rock. When set at the preset Medium configuration the mattress rates at a 6. This setting should fit the largest variety of sleepers as it is near the middle. Reverie’s firmness has the capacity to reach anywhere between a 4 and a 9. Sinkage in the surface will vary between the hybrid and all natural latex model. The memory foam and latex combo should provide a gentle cradle, while the natural latex fosters more of a minimal cradle. Deeper contouring will all depend on your sleep profile and how you decide to set the inner firmness. Bounce may be another variant between the two distinct comfort layers. The hybrid memory and latex foam option should support minimal bounce to facilitate repositioning, while the natural latex model may deliver a little more buoyancy, which would be more helpful. Both models support the inner latex coils which may not have the same elasticity of metal springs but should administer an edge of additional bounce. Back sleepers should be served quite nicely by this mattress. The deeper layers provide great support and that tailored coil selection should leave sleepers feeling comfortable. Side sleepers love beds that can contour to their shape and aid in pressure relief. As the inner layer of this bed is customizable, sleepers can tailor their beds so softer coils can help wash away all unwanted strain. Side sleepers who prefer a bed with additional pressure relief may enjoy the hybrid option more. Stomach sleepers can have trouble finding a bed that adequately supports their hips. That should never be the case with this mattress as this product is easily customizable to solve all your support and comfort issues. Because stomach sleepers tend to enjoy a firmer mattress, some may lean towards the natural latex comfort layer. At the end of the day (literally), most sleepers should be able to fall asleep quite nicely on this mattress. For those with sleeping partners, this bed offers split firmness so that each of you can modify your side to your specific needs. An additional option to consider is the DreamTop option, which only splits the top of the mattress, making it easier for couples to cuddle and cross the midsection of the bed, without losing the adjustable features in the head and in the foot. Keep in mind, the adjustable base can support up to 850 pounds and the bed weighs between 135 to 140 pounds, leaving just over 700 pounds for user weight. So if this applies to you, maybe seek out your own base. The mattress itself does not have a specific weight consideration, so heavier folks should sleep securely on just the mattress. A bed sporting good motion isolation properties keeps movements grounded to one side of the mattress. This is often an important feature for couples. This hybrid mattress flies high above the industry standard when it comes to motion isolation. The combination of foam coils and foams in the comfort layer keep motion grounded, so you can sleep right through your partner's nocturnal activities. Reverie Dream Supreme™ II is equipped with supportive RevTech™ foam along the perimeter. This layer surrounds the foam coils and delivers top-notch edge reinforcement. So if you are that partner who sleeps on the edges, you can feel comfortable knowing that this bed should keep you supported all night long. 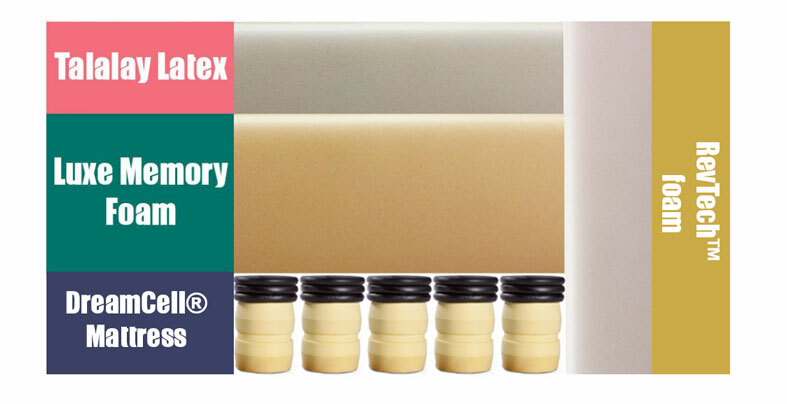 Choice of Comfort Layer – Customers can choose from a memory foam and latex or a natural latex. Split Firmness – Sleeping partners can split firmness so their side of the bed can be tailored to their comfort needs, with an added bonus of the Dream Top option that only separates the head of the bed. Customizable Firmness – The DreamCell® Mattress layer is completely customizable with over 200 coils that can range between Extra Soft to Firm. 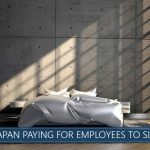 Trial Period – This company backs their product with a 365-day promise, allowing sleepers to work with the company to configure their bed until it is right for them. Returns within this time period are available with an additional fee. Warranty – This mattress is covered by a 10-year warranty. Shipping – Free shipping, with included White Glove Delivery, is available in the contiguous United States. Outside of this, shipping fees will be applied. CertiPUR-US® Certified – Foam materials certified to this standard are in line with third-party regulations that checked for safe levels of lead, formaldehyde, mercury, and other potentially dangerous substances. OEKO-TEX® Standard 100 – This third-party certification determined that the latex used in this product was tested at every stage of its development and met meticulous security codes. With the option between a hybrid latex–memory foam combo or an all natural latex comfort layer along with complete firmness customization in the support layer, the Reverie Dream Supreme™ II may be the most customizable bed on the market. Reverie’s primary goal is to help their customers get more out of life by forming good sleep and health habits. While using this brand's state of the art, customizable bed, that goal should be more than achievable.